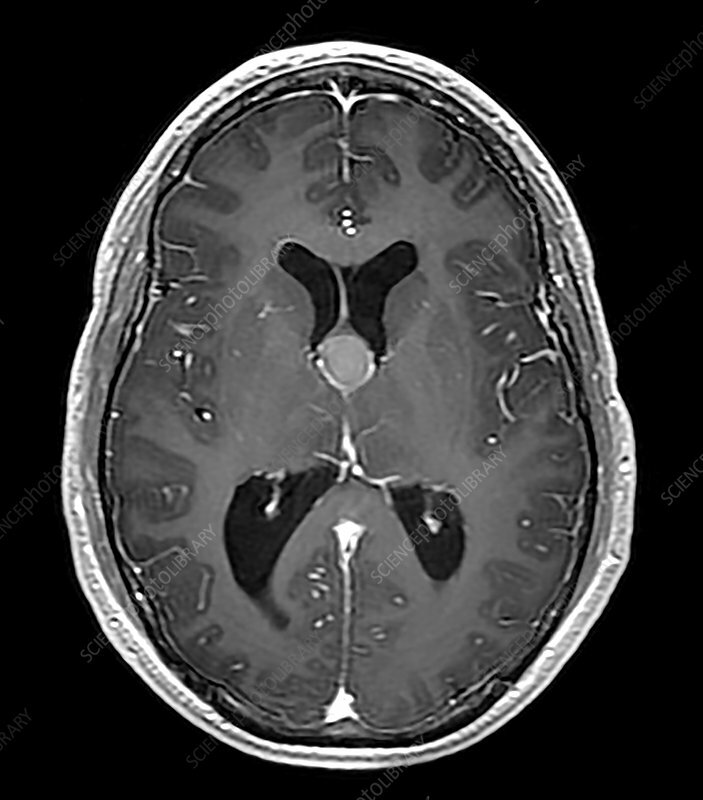 This axial (cross sectional) T1 weighted MR image with contrast shows a well circumscribed ovoid hyperintense lesion at the foramen of Monro attached to the septum pellucidum. This represents a benign lesion called a Colloid Cyst. There is little to no enhancement. These can cause intermittent hydrocephalus when blocking the foramen and have been reported to cause sudden death in the setting a acute hydrocephalus.